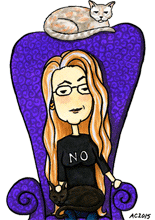 I spent several hours this weekend making art and managed not to really finish anything suitable for posting, oops! 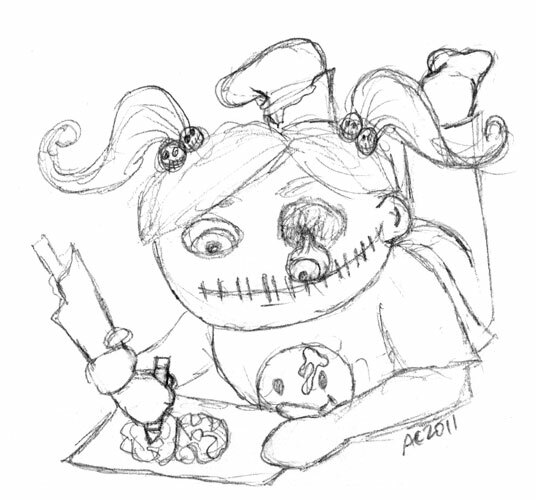 Here’s a sketch for my upcoming Zombie Family Coloring Book, an idea of how zombie kids might play with crayons. Note that, like all good zombies, she’s drawing her favorite thing – brains!